Because the Lady Minimalists were among the artists who exhibited in Axle Contemporary's little step van over the last 5 years (Magnetic Shift, 2013), we were invited to an expansive indoor show at Peters Projects. 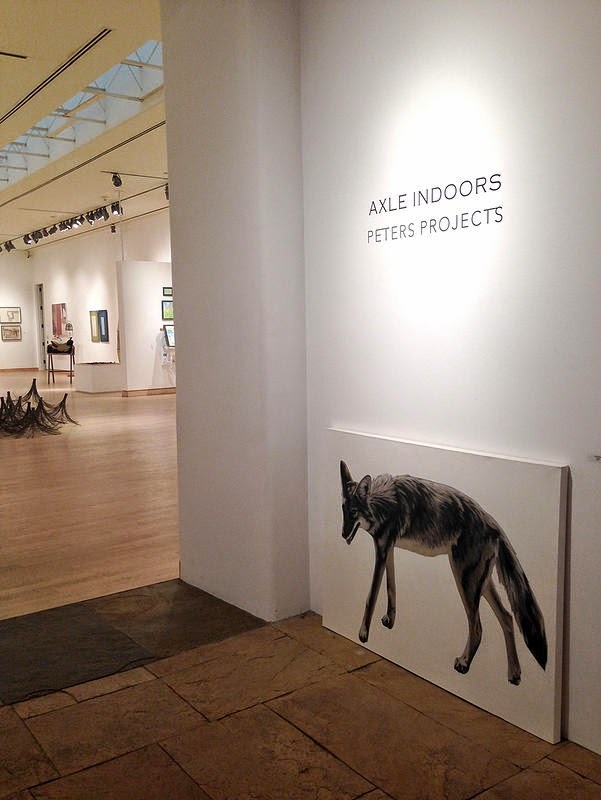 This scintillating show involving 146 artists who previously showed with Axle was described by Peters Projects director Ylise Kessler as "a finger on the pulse of what's happening in Santa Fe." If you are in Santa Fe and haven't seen it, or want to see it again, it will be up through March 21st. 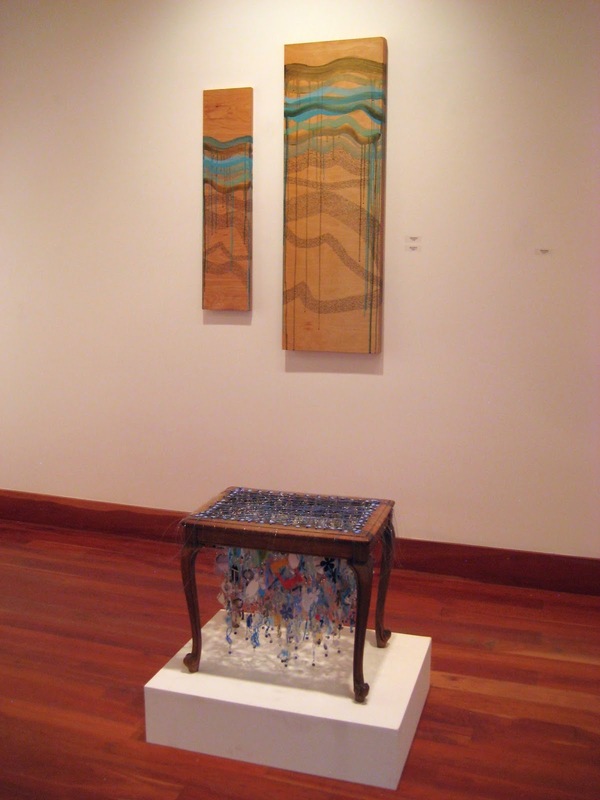 Peters Projects on Paseo de Peralta occupies a rambling collection of museum-like spaces amounting to 8,500 square feet, so there is plenty of room for all that artwork. We thought it was elegantly curated and hung so that the array of styles and media are never overwhelming, but lead the viewer from room to room. Thanks, Ylise, Matthew Chase-Daniel and Jerry Wellman, for all you do for the Santa Fe art community.